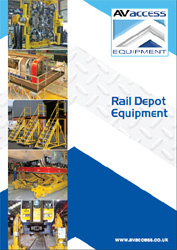 Access across pits in all areas of maintenance depots can present serious problems when working with a number of different types of train set. 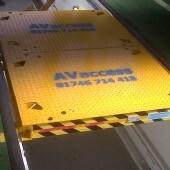 AV Access Ltd have designed a range of pit bridging boards to work with centre pits and side pits where both concrete to rail and concrete to concrete pits are present. 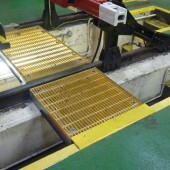 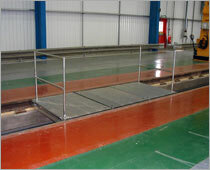 The pit boards are usually designed with integral sockets to all the fitting of removable handrails and steps. 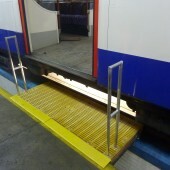 The handrails can be used to give a safe crossing point and the steps can be used to give access down into a pit at any point along the length of the road. 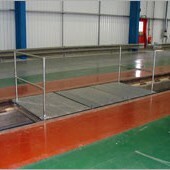 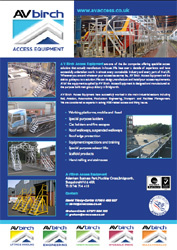 When fabricated from aluminium, detachable handrails can be incorporated within almost all pit bridge designs. 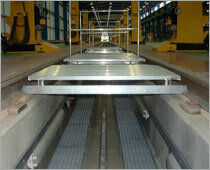 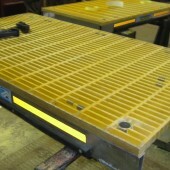 Working capacities of the boards can be sized to accommodate the requirements of the customers’ needs. 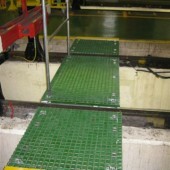 These can range from simple man access up to 500kg UDL for removal of components from the underside of the car. 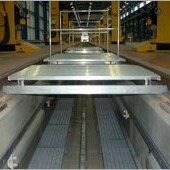 With the use of carbon steel increased working capacities can be achieved as required by the client. 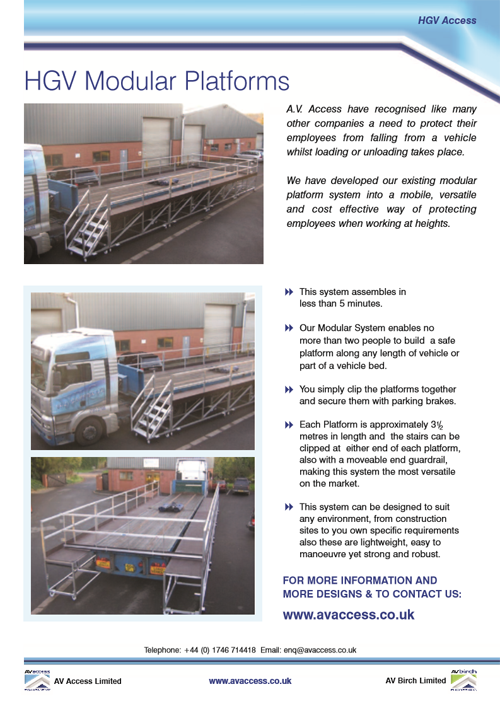 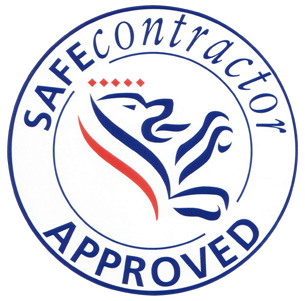 Up to 500KG safe working loads as standard. 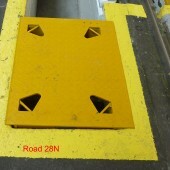 Centre or side pit variations manufactured to suit depot requirements. 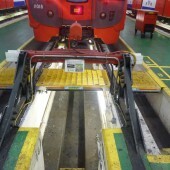 Special end hooks fit into standard rail section. 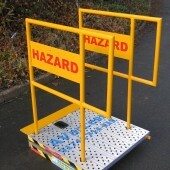 750mm wide pit board is less than 25kg for manual handling. 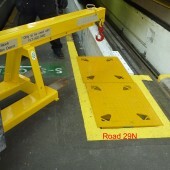 Can be left in position whilst rolling stock is using the road. 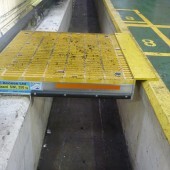 Multiple pit boards can be positioned side by side to create a large work area.